I’m a huge fan of Gothic literature – obviously – but I tend to avoid books with modern settings. I usually just don’t enjoy them. However, I was intrigued by this book’s description, so I gave it a try. It was surprisingly really good. 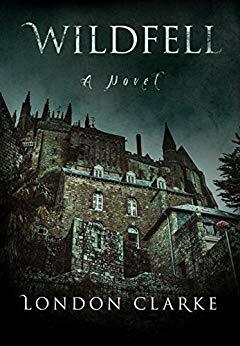 It’s rare to find a good Gothic in this sort of setting, but I really enjoyed reading this and would recommend it. It has all the tropes of a Gothic – the heroine has a mysterious past, the hero is dangerous, the house is foreboding, the tone is creepy. There’s a central mystery – who are these people and what’s really going on in the house. The heroine is also sympathetic and her choices – even when they lead her to danger – are realistic. You don’t end up screaming at her for being stupid, but sympathizing with her because she’s in an impossible situation. I look forward to seeing more from Clark in the future.